I must admit that after I have read book one and two, I skipped the others for now and just went to read this one. While there is some confusion if you haven’t read the third and fourth book it is still possible to read it with ease. It’s just that you don’t know all the couples. 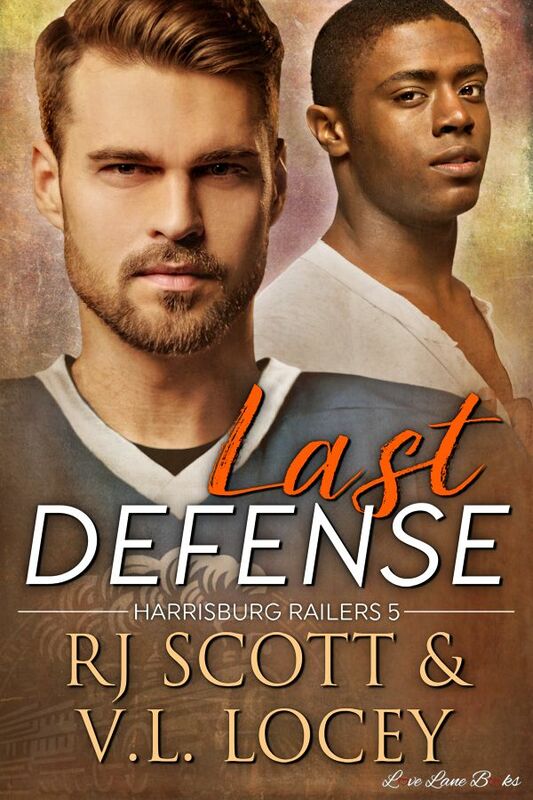 Main characters in here are Ben, who lost his husband a few years ago, and Max, who has health issues and is trying to enjoy his last season of hockey, while still realising it might kill him. But since hockey is all he knows and has, he cannot give it up. Max pursues Ben from the moment he sees them, and for a little while Ben resists, but not for long. And they start a kind of friends-with-benefits thing. As usual in the books, this turns into a relationship they don’t see coming. But despite knowing Ben’s husband died of health issues, Max still doesn’t tell Ben about his own medical problem. So when Ben finds out, he breaks up with Max, obviously, even though he later accepts it, and tries to accept it all. Another issue in the book is Ben’s ‘ex’s’ family – his brother being extremely homophobic. This brings child abuse in the book, as well as burning Ben’s shelter. In the end, Ben is once again faced with the possibility of losing someone whom he loves, but it all ends well and the HEA is actually adorable. I must admit that the book was a bit hard for me to read, as the second book in the series had a problematic content about which I wasn’t warned about. Even here, the explicit homophobia might warrant a mention at the beginning of the book.